Born 1966 in Witten on the Ruhr, studied Architecture at RWTH Aachen University and the ETSA de Madrid (Superior Technical School of Architecture of Madrid) from 1985 to 1992. He has been a member of Schalke 04 since 1990. He founded the architecture firm Schulz und Schulz, headquartered in Leipzig, with his brother Benedikt in 1992. He was appointed to the Bund Deutscher Architekten BDA (Association of German Architects) in 2002 and into its Arbeitskreis junge Architektinnen und Architekten AKJAA (Committee of Young Architects) in 2004. From 2004 to 2009 he was a member of the state board of BDA Sachsen (Association of German Architects Saxony). Ansgar Schulz was head of the BDA-Regionalgruppe Leipzig (Association of German Architects Regional Association Leipzig) from 2005 to 2010. He was appointed to the Deutscher Werkbund Berlin in 2015. He was appointed to the Konvent der Bundesstiftung Baukultur (Convention of the Federal Foundation for the Culture of Building) in 2010, 2016 and 2018. Since 2016 he has been a member of the scientific advisory board of the Deutsches Institut für Stadtbaukunst (German Institute for Urban Design). Ansgar Schulz was an instructor at the former TU Karlsruhe (Karlsruhe University of Applied Sciences, now Karlsruhe Institute of Technology) from 2002 to 2004. Together with his brother he has been co-chair in Baukonstruktion (Building Construction) in the Fakultät Architektur und Bauingenieurwesen (Faculty of Architecture and Civil Engineering) at the Technische Universität Dortmund (Technical University of Dortmund) from 2010 to 2018. He has been the Professor for Achitectural Design and Construction in the Faculty of Architecture at the Technische Universität Dresden (Technical University of Dresden) since 2018. Born 1968 in Witten on the Ruhr, studied Architecture at RWTH Aachen University and the Universidad Católica ‘Nuestra Señora de la Asunción’ (‘Our Lady of the Ascension’ Catholic University) in Paraguay from 1988 to 1994. He has been a member of Schalke 04 since 1990. He founded the architecture firm Schulz und Schulz, headquartered in Leipzig, with his brother Ansgar in 1992. He was appointed to the Bund Deutscher Architekten BDA (Association of German Architects) in 2002 and into its Arbeitskreis junge Architektinnen und Architekten AKJAA (Committee of Young Architects) in 2004. He was the speaker for the AKJAA from 2006 to 2009. In 2010 Benedikt Schulz was appointed to the Sächsische Akademie der Künste (Saxon Academy of Arts). He was appointed to the Deutscher Werkbund Berlin in 2015. Since 2016 he has been a member of the scientific advisory board of the Deutsches Institut für Stadtbaukunst (German Institute for Urban Design). Benedikt Schulz worked as a research assistant at RWTH Aachen from 1995 to 1996. He was an instructor at the former TU Karlsruhe (Karlsruhe University of Applied Sciences, now Karlsruhe Institute of Technology) from 2002 to 2004. Together with his brother he has been co-chair in Baukonstruktion (Building Construction) in the Fakultät Architektur und Bauingenieurwesen (Faculty of Architecture and Civil Engineering) at the Technische Universität Dortmund (Technical University of Dortmund) from 2010 to 2018. He has been the Professor for Achitectural Design and Construction in the Faculty of Architecture at the Technische Universität Dresden (Technical University of Dresden) since 2018. 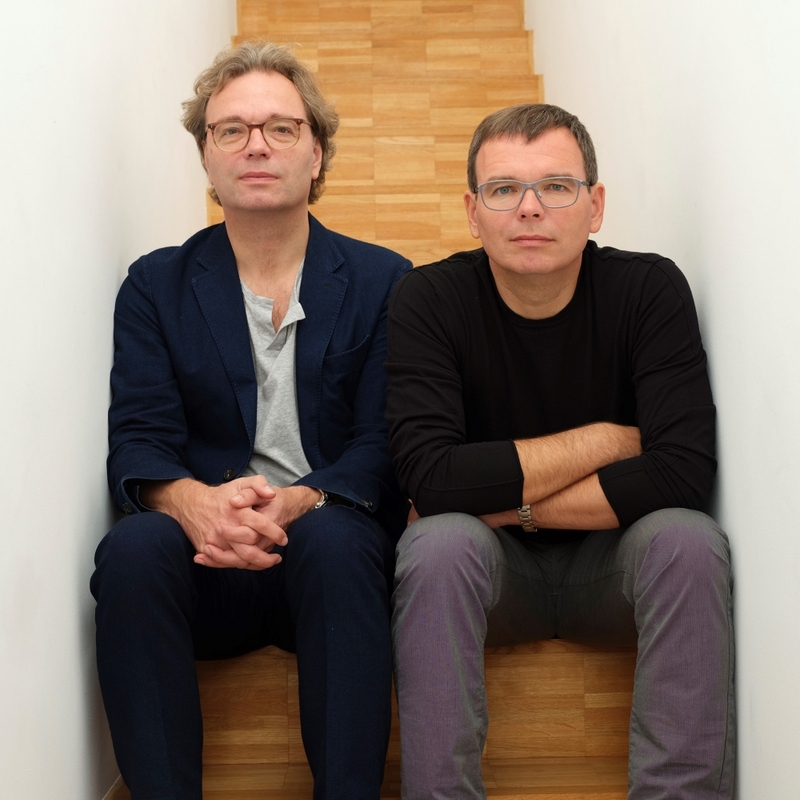 The brothers Ansgar and Benedikt Schulz are regularly jury members for architectural competitions, planning appraisals and architecture awards. They are often invited to provide guest critiques and guest presentations at colleges, universities and conventions. Ansgar and Benedikt Schulz have been appointed as design advisers for various cities. As experts, they advise the relevant committees on urban design and city planning.